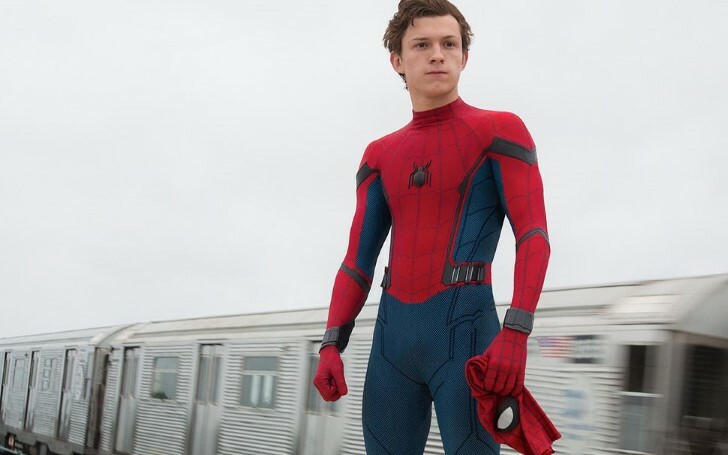 home Movies & TV Shows The Much-Awaited Trailer of 'Spider-Man: Far From Home' Released - Does It Hint The Fate of Tony Stark? The recently released highly awaited trailer for Spider-Man: Far From Home potentially hints the death of Tony Stark. The first trailer for the highly-anticipated “Spider-Man: Far From Home” is finally released. The long-awaited trailer debuts at an interesting time for the MCU with Captain Marvel and Avengers: End Game right around the corner. The clip shows Peter Parker/Spidey (Tom Holland) setting off on a school trip before meeting Samuel L. Jackson's Nick Fury for the first time alongside this we finally get an up-close look at Mysterio (Jake Gyllenhaal). As seen on the trailer, Spider-Man seemingly teams up with Jake Gyllenhaal's character before Jake decides to go down a different route, presumably becoming the sinister supervillain from the character's history in comics, cartoons and beyond. “Spider-Man: Homecoming” director Jon Watts returns to direct this sequel with Peter Parker reprising as Spiderman, alongside the supporting actors Jon Favreau as Happy Hogan, Michael Keaton as the Vulture, Zendaya portraying MJ, Marisa Tomei as Aunt May, and Samuel L. Jackson playing the role of Nick Fury. In addition, Jake Gyllenhaal will take on the role of Mysterio. However, one major Marvel character Ironman/Tony Stark (played by Robert Downey Jr.) is notably missing from the trailer. The absence of the Avenger closest to Spidey, with an important role as the web slinger's mentor in both Spider-Man: Homecoming and the earlier Captain America: Civil War generates questions regarding his survival in the Avengers: Endgame. Fans are interpreting his absence in the movie as sure sign of his death in Endgame as it is presumably set before Far From Home. In reality, the trailer didn't reveal anything about the fate of Tony Stark except for the one particular hint by Tony's man-Friday Happy Hogan. Hogan is seen saying, "We are all alone". Well, it may be too far fetched but Happy likely wouldn't say this statement if Stark was around. If you recall, Tony was always there to help Peter whenever he was in trouble, so if Stark survived Avengers: Endgame, one could imagine he would be on Spider-Man's side since he is his mentor. On the other hand, the tone of the trailer makes it difficult to predict the fate of Tony Stark. Moreover, there's some silver lining as one of Peter's friends is seen casually name-dropping Iron Man and Thor when Mysterio makes an epic entry. So whether Stark is dead or not, the question will remain up in the air until the film is released. You won't get to see Spider-Man: Far From Home until 5 July, but some questions should be answered in April when Avengers: Endgame finally drops.